Daler has completed his BA at American University of Central Asia, Bishkek (Kyrgyzstan) majoring in the Environmental Management and Sustainability and minoring in Anthropology. 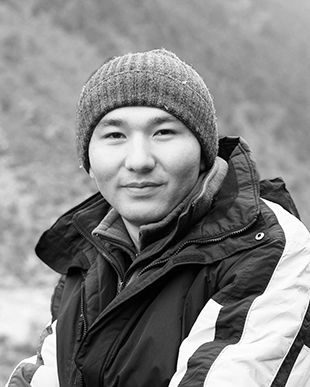 His BA thesis is on community resilience and commodification of nature in Eastern Pamirs of Tajikistan since 2015. Currently, he is planning to continue his MA education abroad, searching for an important topic related to human-nature interactions in the Pamir Mountains. Joined the team of the Belmont Forum founded project "Ecological Calendars and Climate Adaptation in the Pamirs" as a research assistance. Presentation Student Conference "Exploring New Lands and Prospects in Kyrgyzstan and Beyond", October, AUCA, Bishkek.